Mr. Yuhl, a native of Los Angeles and a Loyola High School Graduate, earned his Bachelor of Science degree in Journalism from the University of Colorado in 1983 where he also served as Assistant Sports Information Director. Mr. Yuhl handled the critical media aspects of the newly created Title IX changes in opening up college athletics to women, as well as being men's football and basketball assitant . Chris also worked as a free-lance sports writer for the Denver Post, Rocky Mountain News, the Colorado Golf Association, ESPN, and in the Denver Broncos press box on Sundays. His journalism and public relations background helped him develop a clear, concise and compelling ability to deliver the story – a critical asset in the communication between a Trial Lawyer and his jury. Chris returned to California to attend the University Of San Diego School Of Law where he earned his Juris Doctorate degree in 1987. While at USD, Mr. Yuhl earned top honors as the American Jurisprudence Award winner in Torts and was privileged to represent USD on its National Trial Team. His journey to the courtroom led him to the prestigious 160-lawyer defense firm of Haight, Dickson, Brown & Bonesteel in Los Angeles. There he specialized in civil litigation and trials for the firm’s corporate and insurance clients. Mr. Yuhl quickly made it into the courtroom, with juries returning favorable verdicts in more than a dozen civil trials in his first 5 years. In 1990, just three years into practice, Mr. Yuhl obtained the largest monetary recovery in the defense firm’s then 54-year history with his $1.7 million victory in the “flying triangle landslide” case. Chris also tried criminal cases a pro bono prosecutor for the Los Angeles City Attorney’s office obtaining convictions in every case assigned to him. Turning the page again, Chris partnered with his brother Eric in plaintiff’s practice in 1992 where he made his impact early. In a 1993 landmark jury verdict, the first case to ever successfully prove the traumatic activation of post-polio syndrome, a jury rendered a seven-figure judgment for his elderly client. He successfully recovered more than $3million for the parents of two 21 year olds killed on PCH because of a dangerous road design that had been ignored by the county for decades despite similar fatal accidents. The settlement led to a reconfiguration of the intersection of Pacific Coast Highway and Sunset Blvd eliminating the hazard and improving safety. Mr. Yuhl has worked in a variety of Mass Tort matters involving defective drugs, medical devices and rail accidents. In 2012, he was appointed to the leadership group of a national medical device litigation that has grown to more than 2000 plaintiffs. In November 2015, Chris and his leadership group received a stunning $11million verdict from a Federal Court jury in Atlanta in the first bellwether trial against the manufacturer. Mr. Yuhl enjoys an AV rating by Martindale Hubble, the highest rating for ethics and professional skill. 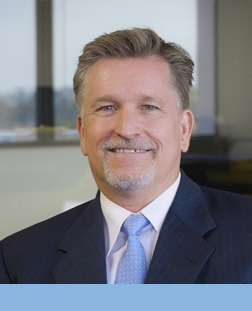 He has been listed as a California Super Lawyer every year since 2006 for his excellence in personal injury litigation and trial. He is a long-standing member of the American Association for Justice, the LA County Bar Association where he also serves on the Judical Appointment Selection Committee. His enjoys his philanthropic work with TheLA25 which strives to enrich the lives and intellectual growth of school kids by raiising money for Art and Music programs. Chris and his wife Amy have three teenage daughters, who also share his passion for camping, hiking, skiing, sports, dogs and music.